If you are in marketing then chances are you spend a lot of time looking at customer data. However, today we are experiencing information overload, and it can be hard to determine which data is the most critical to collect and will ultimately affect the bottom line. There are certain sets of data that tell you a lot about your customers and allow you to adjust or implement strategies based on the information you collect. If you are new to this whole ‘analytical reporting’ thing, here are a few data sets that I think you should start with. This may seem obvious, but without this basic information it makes it very difficult to target and personalize your campaigns. This data is critical for personalization, but do not forget what else this info tells you. It tells you WHO your buyers are. Find out more about how to build your buyer personas. If you are using GreenRope, take advantage of the ‘Contacts Research’ tab in each Contact Record. GreenRope will scour the internet to find out more details about your contacts and automatically create user-defined fields based on the information we find! Tracking who visits your website is valuable information. It tells you which pages leads and clients visit, how long they spend on the page, and how often people leave your site. This not only helps you gauge the effectiveness of your website and overall marketing efforts, but also allows you to gain a deeper understanding of your customers. Sales reps can take this information and use it to their advantage by pinpointing particular topics, features that leads visited. This builds trust and encourages a deeper relationship between the company and the lead. Now, I realize that not all businesses sell online, but that does not mean that you shouldn’t be tracking conversions. A conversion does not always need to represent a monetary value, but rather a phase in the buyer lifecycle, such as ebooks downloaded and responses to targeted offers. Tracking conversions ensures that you don’t double up on content and provide a more personalized customer experience. Knowledge of the customer journey, and what triggers each person to take an action is great for evaluating and improving your marketing strategies. It also plays a roll in determining lead interest and quality. Yes, I am talking comments, retweets, mentions, keywords, etc. We live on planet social media, and while your clients are orbiting the Twittersphere, you better be listening. Keeping up with what people are saying about you and your company is another great way to get to know and engage your customers with content they are looking for. This is email marketing specific, but in my opinion, the most important. Why? Because without this data you will never know the success of your campaigns. Your open rate tells you the percentage of people who opened your newsletter relative to how many people you sent it to. Your open rate tells you a lot about your subject line, the content, as well as the best times to send out your broadcasts. Finding out what content produces the highest open rate will not only make your marketing more effective, but also increase engagement with your brand. Do not try and analyze everything at once. First figure out how you are going to track and organize these data sets, then put the ball into motion. If you are a GreenRope user, you have all the tools necessary to track, organize and execute a sales and marketing strategy based on all of this data. 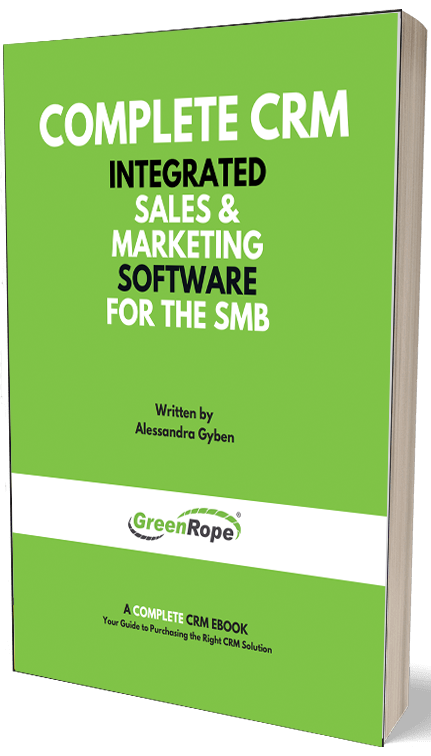 If you are not a GreenRope user, start optimizing your sales and marketing today!